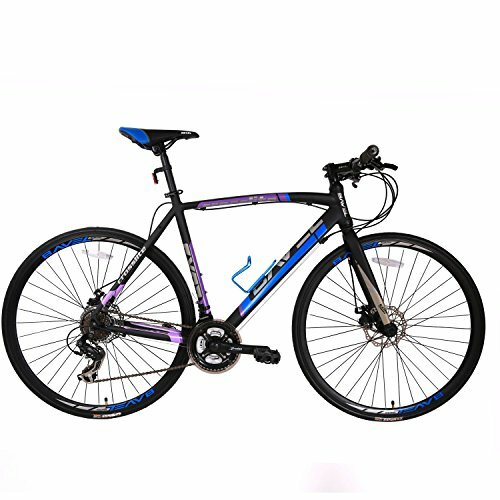 Bavel Road bike is a 27 pounds lightweight bike which provides unmatched comfort with top quality ultra weight aluminium body and a smooth Shimano gear system. This is one of the best road bikes for those who have budget less than $300. It’s cheap and lightweight. It may look like a heavy bike but it’s only 27 pounds in weight which will enable a smooth and comfortable ride. The material used in the whole bike is of good quality except the pedals which are made up of plastic but still keeping this con aside, all the other parts like forks, stem, rims are are absolutely fantastic. The frame is made up of ultra light aluminium. 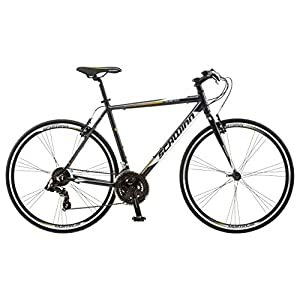 At this price, it’s hard to find a good light aluminium which is necessary for reducing the overall weight and this bike does it perfectly making it a good choice for budget bikers. The gear system it uses is Shimano EF-500 shifter and Shimano derailleur which are top quality gear systems and the mostly used one among different types of bikes. The gear system is flawless and there are 21 speeds with 7 gears which work perfectly. The shifters are easy to use and operate like breeze. So when we compare the gear system to any other bike at the same price, it really is worth the price. The bike is present in three different sizes. 48cm, 51cm and 54 cm. 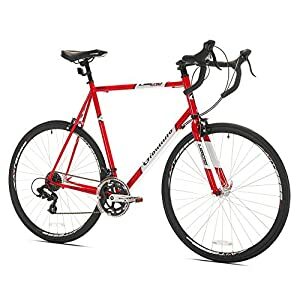 For a person like me who is 5’7″, the 51 cm bike is the perfect fit and for persons taller than me, like 6 feet, 54 inches bike will be perfect match. The three different sizes provided by the company are benefit for every biker who wants to ride this, be it short or tall. Other than the gear system the brakes are really amazing and work better than common brakes we see in bikes. The brakes are disc brakes which are top grade Shimano but need some tuning before you start your first ride. The bike comes 90% pre-assembled but you just need to attach pedals and adjust the derailleurs at first. It’s good that you don’t have to worry about assembling it via a mechanic and you can do it all by yourself. Some parts like brakes, derailleurs, seat need to be tweaked a little before the first ride in order to make things work smoother. Do not forget to read the manual and ask the customer service if you have doubt on anything. The bike has some additional features as well. The frame comes with a bottle holder which is very necessary when you go out for a long ride with a water bottle which can be kept in the holder. The decals are fantastic and every customer appreciated it. The design is beautiful and is present in different colours as well. You can get four different types of colour combinations with this bike which are: Black/Blue, Black/White, Green/White and White/Blue. Customer service is the best thing which you take to your home with this bike. The representatives reply very fast typically within 1 or 2 hours and help in every way professionally. If you get any part damaged when it comes to your house, you can show the company the defective part and they will send a new part within 10 days. They are very helpful in this matter. So you can trust them with full confidence. There are a few cons as well. Those cons are not so big that you need to worry. These are just minor cons and for the price you pay, you are still getting the worth. The first CON is the plastic pedals. The second one is the saddle which is not so comfortable and somewhat falls between a hard saddle and a soft saddle but you can get it changed if you want. The stem is a little longer, but you will get adjusted in a couple of tries. 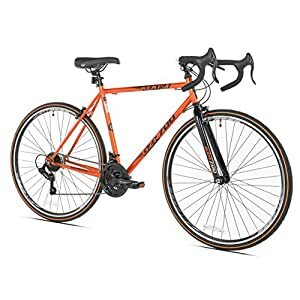 For beginners, this bike is the best budget road bike who want to have the comfort and adventure of a professional bike at a cheap price. A lot of bikers are using this bike day to day and give it a 5 star rating for the worth they are getting.